Hi, friends!! I have some exciting news!! Our little Hearts for Home Blog Hop is growing. We have brought on some excellent bloggers who will join us in hosting the blog hop each week. Heather of Only Passionate Curiosity is a military wife and mother of three living a dream life in Germany. She has three children, Bug, Mr. Man and Little Miss who all have their own personalities and quirks. Most of their learning happens on the road as they travel and take advantage of all Europe has to offer. Their favorite subjects are History, Art, and Nature Study which are best experienced hands-on! On her Blog, Heather shares about real life homeschooling, all her triumphs and struggles. 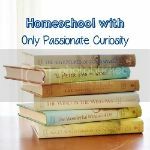 She also wants to share ideas to help you home school creatively on a budget, and features curriculum reviews, ideas to home school inexpensively, and a large list of free home school links to curriculum and resources. You can follow along with their exciting European homeschooling adventures at onlypassionatecuriosity.com, or on Facebook, Pintrest, Twitter and Instagram. Jill of Enchanted Homeschooling Mom is the homeschooling mother of 2 awesome children (Beck and Elizabeth), a loving wife, who brings readers along on her family’s homeschooling journey in their rural setting. 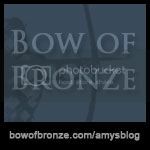 She enjoys blogging about everything related to her homeschooling experience, from the daily happenings of Beck and Elizabeth, to the adventures in nature around them, to her family’s 4 rescue dogs, to just about anything that makes their homeschooling journey magical. Jill also takes the time to create printables for her homeschool classroom that she provides at her EHM Member’s Only Website. She has a wide variety of printables, curriculum, unit studies, and holiday related items that everyone is sure to find educational, useful, fun, and appropriate. 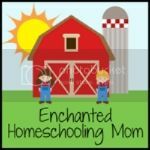 You can follow with Jill’s magical homeschooling journey at enchantedhomeschoolingmom.org, Facebook, Google+, Twitter, and Pinterest. Kristi has been married to her beloved for 13 years, and is the mom of 6. Her Homeschool is a blend of classical and Charlotte Mason, and she loves introducing her children to the world every day. Kristi has lived around the United States, and currently calls Washington state home. You can find her at The Potter’s Hand Academy, where she reviews curriculum and shares her thoughts on the lifestyle of learning, and also on Facebook, Twitter, Google+, Pintrest and Instagram. Sarah is the JOYful wife of Jorge, the JOYful mother of 7 blessings, and a JOYful servant to the Most High God. She has been JOYfully homeschooling since 2007, using an eclectic approach. Sarah left her working-mom-of-2 mentality and plans at the door when the Lord came knocking on it in 2002. Now, as a born-again, stay-at-home, homeschooling mom of many, she couldn’t imagine life any other way! Sarah has a heart for moms, and uses her blog, My Joy-Filled Life, to minister to and encourage other mothers. You will find her writing and sharing about the joys of big family living, her faith, homeschooling, homemaking, and whatever the Lord lays on her heart. In her free time (what’s that? ), Sarah enjoys baking (but not the clean-up), dabbling in photography, and running. You can also find her on Pinterest, Facebook, Twitter, and Google+. Heather Bowen is a homeschooling mom of two sweet girls. She is married to her best friend and lives in southeastern North Carolina. Heather is a nurse by trade, but in late 2012, she left her nursing scrubs behind to embrace the life of a work at home mom. She blogs at Upside Down Homeschooling. You can also find her contributing to So You Call Yourself a Homeschooler, The Homeschool Village, Enchanted Homeschooling Mom, and The Curriculum Choice. She is a member of iHomeschool Network, a Tommy Nelson Mommy, and a Teach Them Diligently Blogger. In addition to blogging, Heather is a speaker and virtual assistant/social media consultant. She is the Community Manager for Holy Spirit-Led Homeschooling. Heather is excited to announce her newest blogging venture, Spiritually Mismatched Marriage which will launch in July 2013. Follow Heather on Facebook, Twitter, and Pinterest. Selena is a former tax accountant-turned-homeschooling mom of four. She and her husband Jay have committed themselves to homeschooling their children in an effort to give them the very best education possible and to strengthen their bond as a family. Selena is a homeschooling graduate herself who was able to go on to college and begin a career in finance, so she knows from experience that homeschooling works! Rather than committing themselves to a single teaching style, the family practices eclectic homeschooling and both Selena and Jay weave in aspects from all of the major homeschooling methods to create a well-rounded, relaxed learning style for their children. Selena shares her family’s homeschooling adventures every weekday at Look! We’re Learning! Readers can keep up with the family by subscribing via email or by following Look! We’re Learning! on Pinterest, Facebook, Twitter, or Google+. Jolene is a homeschooling blogger who hails from Johannesburg, South Africa. She is a wife and mom of 4 children aged 11, 6, 4 and 20 months. Her family are all avid readers and love spending time together reading, watching movies and spending time in the outdoors. 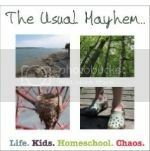 You can read her blog at Monsters Ed Academy and follow along as she Homeschools on Facebook, Twitter and Pintrest. Jill and I are SO excited for the new direction of the blog hop and pray that we will be able to share your awesome posts with an even larger audience now. Now, without further ado, on to this week’s blog hop!